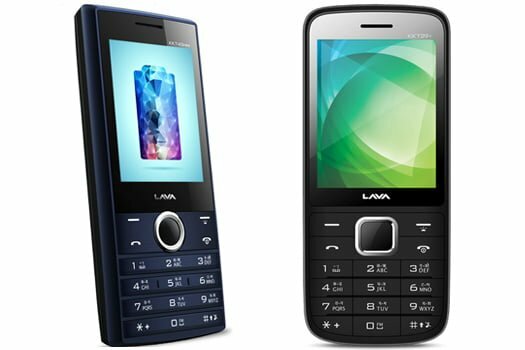 Aircel, in partnership with Lava Mobiles today introduced a bundled offer for Lava feature phone users. “Setting industry first benchmarks the Aircel-Lava bundled offer of the feature phone is unique and revolutionary in more ways than one,” said Aircel in a press statement. The Aircel bundled Lava device comes with an attractive benefit to customers enabling them to receive a 100% cashback on the device price at the end of 24 months. A customer upon recharging with Rs. 153 Aircel pack every 28 days for 24 months will get unlimited benefits of voice calls, 2G Data, SMS and Music but also the benefit of 100% cashback. Aircel also said that the cashback, in this case, is a complete money back into the account of the customer thorough RTGS payment method. “Aircel and Lava understand customer needs and know that they opt for a handset change after about 24 months of usage. This cashback has been timed to be most beneficial to the customer at the time of buying a new device. This offer is a stimulus in the digital revolution of the country,” further added Aircel in the press release. The Aircel bundled Lava device, is on offer available for a nominal cost of Rs. 850, and offers dual-SIM connectivity. Another best part with this device is that the SIM slots are not locked by Aircel allowing customers the freedom to use the device with the service of an operator of their choice. The pre-booking of this bundled offering is available on the Aircel website and devices would be available in the market for a period of two weeks. This is not notional cashback in the form of talk time. The offer provides actual cashback in the form of RTGS transfer to the respective qualifying bank accounts. The Aircel-Lava program does not ask the user to return the device allowing them to keep the device and the cash. Moreover, it ensures that the cashback comes to the user exactly when he is planning to switch to another device. Are people fools, rtgs for such small amount? ?..